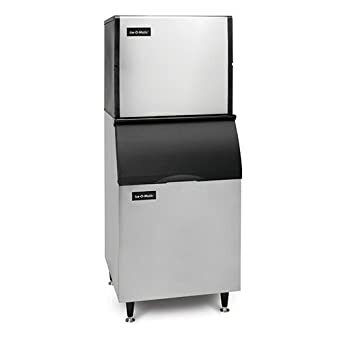 Ice-O-Matic’s ICE Seriesâ¢ Modular Cube Ice Maker, water-cooled, approximately 960 lb production/24 hours, half-size cube, filter-free air, PURE ICE built in antimicrobial protection, Harvest assist produces Ice consistently/reduces operating cost, 208-230v/60/1-ph, 12.8 amps, cULus, NSF, CE. 3 yr. parts & labor warranty, standard. 5 yr. evaporator warranty, standard. 5 yr. parts on the compressor warranty, standard.